Move right into this Fantastic Open Floor Plan in this BRAND NEW home under construction in desirable gated community. Within steps to the Clubhouse, zero entrance swimming pool, & Fitness Center. 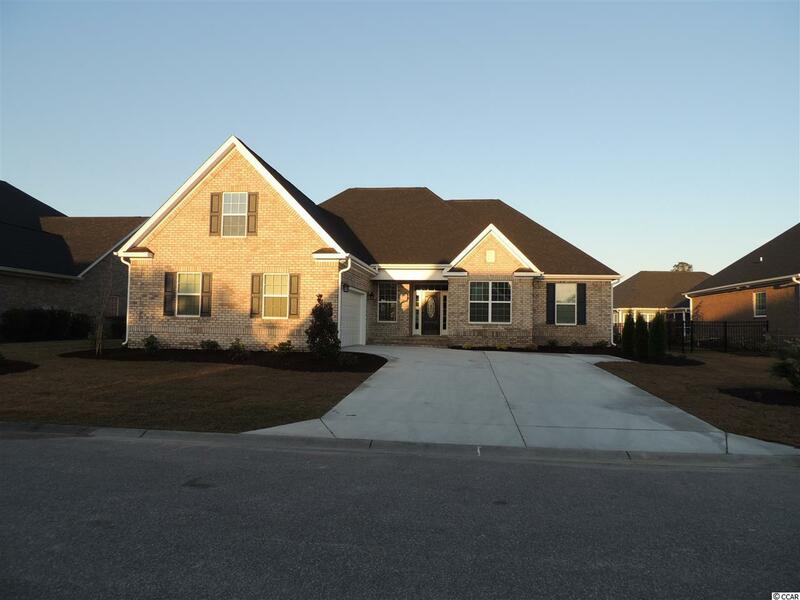 This ALL BRICK home boasts 5 bedrooms (or 3 BR + Office + Bonus Rm), & 3 full baths. Custom cabinets, granite in kitchen and all bathrooms, crown molding in most rooms, & chair rail & wainscoting in Foyer and Dining Rms. You MUST SEE KITCHEN, PANTRY ((9X5) and LAUNDRY with large closet & custom cabinetry. S/S appls in kitchen includes wine/juice refrigerator, microwave, dishwasher & gas or electric range. Hardwood in Living, Dining, Foyer, & Office/Front BR. Tile in Baths and Laundry. Carpeting in 3 BRs & Bonus Rm, Relax in your light and bright spa-like master retreat that includes tile shower, 6' soaking tub, large walk in closet, huge double vanity & linen closet. Beautiful landscaping W/sprinklers & timer. Relax with a cold one in the wonderful screened porch with ceiling fan. Tankless gas Water Heater. Oversized 2 Car Garage. All pictures are of this house. Directions: From Carolina Forest Blvd, Turn Into Brighton Lakes. At Stop Sign, Turn Right. Take First Right Onto Ocean Sands. House On Left Under Construction.